Do you find putting up Christmas decorations a bit of a chore? 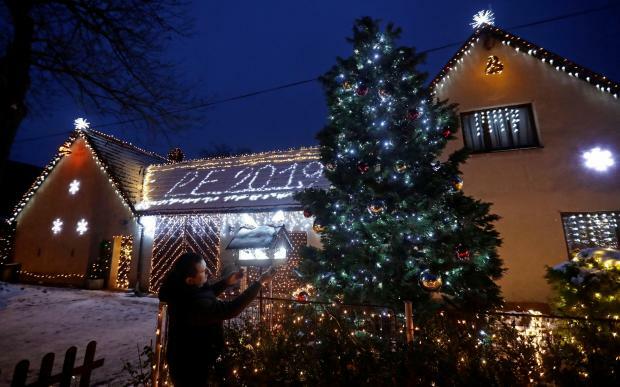 If so, spare a thought for Czech Vaclav Trunec, who's wrapped his house and garden in 27km of festive lights. 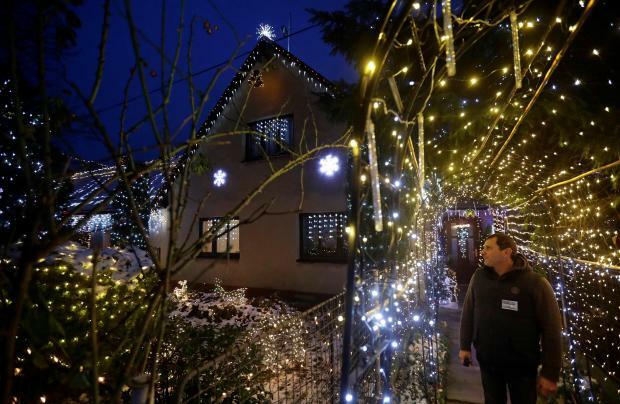 Trunec first decorated his property 17 years ago with 200 bulbs. He's steadily expanded the annual display, which now draws thousands to the eastern village of Chotovice every winter. "Why I did start with this? I was inspired by the American films, but I didn’t take their decoration but stayed faithful to the (traditions of) the Czech Republic," Trunec told Reuters. "That’s why you will not find any Santa, reindeer or flashing stars here." This year's display features a nativity scene, animals, carriages, stars and snow men, and also uses a record 55,274 bulbs and LED diodes and 304 transformers. Its 330 sections are controlled from a single computer. Admission is free - but donations come in handy to help Trunec foot the €500 electricity bill.